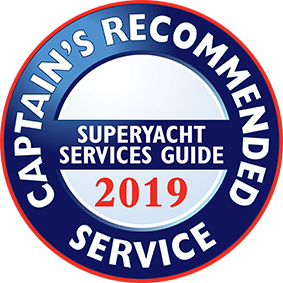 The Superyacht Shop only collect personal information that you have provided us and this data is used solely by The Superyacht Shop and stored securely – see below. We do not and never will sell any of our client’s data to third parties. The Superyacht Shop (“we“, “our” and “ us“) is committed to protecting and respecting your privacy. This policy sets out the basis on which any personal data, which we collect about you and that you provide to us, will be processed by us. If you have questions about correcting or deleting your personal data, please refer to the following sections: Your Rights and Access to Information. References in this policy to “data or “information” include “sensitive personal data” and “ special categories of data” (as defined under data protection law) where applicable. Information you give us . This is information about you that you give us by filling in forms on our website or registering with our website and when placing an order for our products and services (or otherwise corresponding with us), either over the phone, by email or in person. The information you give us may include your name, address, email address and phone number. It may be that you provide us details of credit or debit cards when making payment to us. This information is deleted after payment is taken and is not stored by The Superyacht Shop. 3. Information we collect about you. Like most other website operators, we collect non-personally identifying information of the sort that web browsers and servers typically make available. This includes technical information, such as your IP address and your login information and information about your visit, such as records of how you navigate the pages on our website and how you interact with the pages. to ensure that content from our website is presented in the most effective manner for you and for your device. 1. the processing is necessary for the performance of the contract between you and us. This includes where you have instructed us to take some pre-contractual steps (such as providing you with further information about our products/services and a quotation) prior to us formalising the contract. 2. the processing is necessary for achieving our legitimate interest of updating you regarding our business and products and services and ensuring you get a good user experience when using the website. In accordance with data protection law, we have carefully weighed your interests and fundamental rights and freedoms against our interest to process your information and are satisfied that we are justified in processing your information for this purpose. You can “opt out” from such marketing communications at any time by clicking “unsubscribe” if it is sent by email or by contacting our Data Protection Officer (contact details above). 2. if we are processing your data on the basis of your consent then you have the right to withdraw that consent at any time. For further information on your rights under data protection law and how to exercise them, you can contact Citizens Advice Bureau ( www.citizensadvice.org.uk) or the Information Commissioner’s Office (www.ico.org.uk).